The rarity of an old construction offering magnificent perspectives. Stones and original woodwork built by a stonemason and renovated in recent years for the livable area (including the roof) - Volumes and impressive spaces on nearly 200 m2 on the ground for a promising future. The livable area offers an entrance hall with its dressing, a family kitchen, a dining room, a lounge, 3 beautiful bedrooms including a master suite. 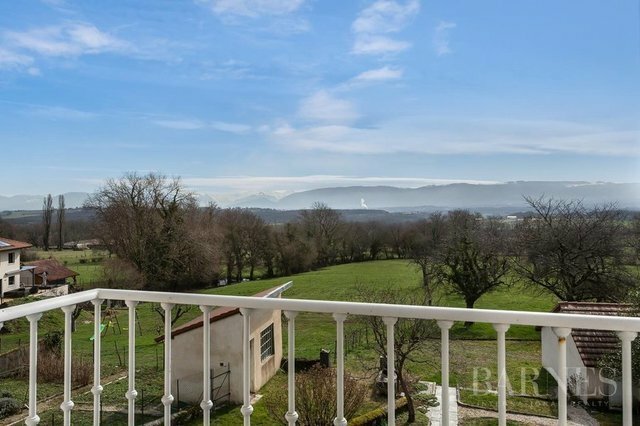 Its ground offers beautiful green spaces and a view of the Alps and Mont Blanc. As for the Jura, it is naturally present.